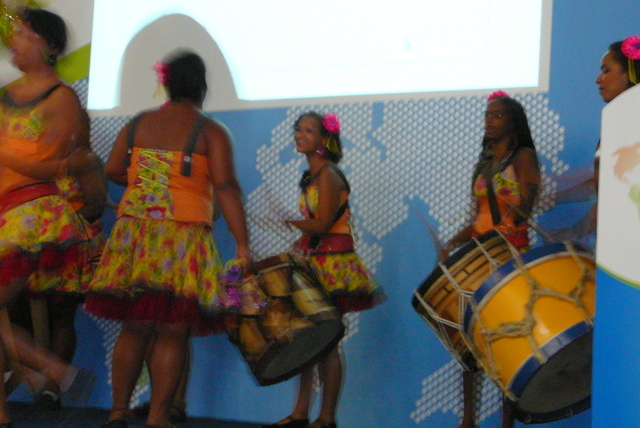 So the third openbossa conference was just opened by a girls group playing an african rhythm, "marakatou" i was told. Reminds me that i’d like to go out with people to some Drum and Base dancing, latest in Chicago. 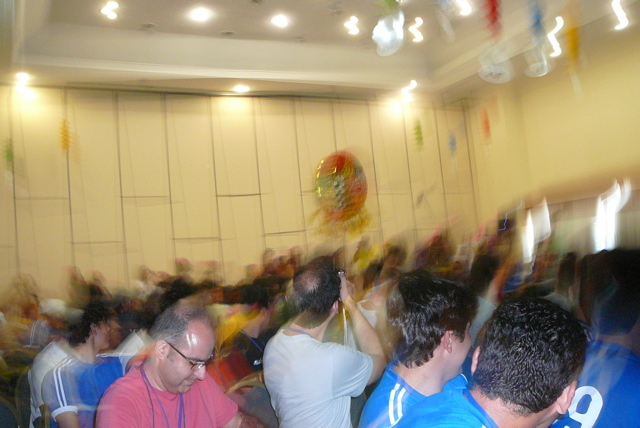 The Openbossa conference is organised by INDT, Nokia’s brazillian Instituto Nokia de Tecnologia. There is hardly anything that i would naturally associate with Finland here, though 🙂 Well, in fact i don’t know very much of Finnland except for the nice people i’ve met so far and the Helsinki episode of Jim Jarmush’s "Night on Earth" movie. Looking forward to some talks on the Programme, a number of which deal with Python. Most attendants are male and come from Brazil, are working for or have some relation to Nokia. Seems like kind of a Nokia developers meetup with invites to people they find interesting. Not the worst way to do a company outing.